Economic theory can’t tell us much about the single most important economic fact of the past three decades: how the world has become split between an increasingly wealthy elite, and an increasingly impoverished majority. Paul Tudor Jones after an especially lucrative day of trading commodities, equities, and currencies, circa 1986. People who study Wall Street with an academic lens often say one or another thing about the idea of the “smart” investor who can pick winning stocks, buy them at key moments, and hold them just long enough to harvest big returns. Half say it’s poppycock. Markets are efficient, information is readily available, trading is liquid, and share prices adjust virtually in real time to any change in expectations. You can’t beat the market, they say. Burton Malkiel summed the view up saying a blindfolded chimpanzee throwing darts at the Wall Street Journal’s tables could pick stocks with the same success rate as any of the professionals. Malkiel and others have trotted out data sets to prove just this point. Over decades-long time frames professional portfolio managers at the big mutual funds and boutique houses have failed to beat the average rate of return. What’s implied in a lot of this, is that markets are also fair. Nobody really has an advantage. Transactions and assets are transparent processes and things, and when someone does make an absolute killing, it’s either through risky strategies that will sooner or later backfire on them, or some sort of insider crime. Then there’s the economists who think that some crafty investors can beat the market, but not for the most reassuring of reasons. This camp points to evidence that markets aren’t efficient. Instead markets are ruled by irrational forces buried deep in the popular psyche. Stock trading happens between human beings whose expectations are as much emotional and superstitious as they are educated guesses about the future values of assets based on sober facts. Keynes was the big ideas man who first popularized this view of markets and made it into a proper subject for his colleagues to talk about. Subsequent behavioral theories of markets are summed up by the notion of “irrational exuberance,” the famous utterance of Fed Chairman Alan Greenspan to describe the mid-90s stock market bubble in an otherwise boring speech. Yale economist Robert Shiller used the phrase for a book that warned of the dot com bubble which popped in 2000. He recycled the book with some new material to talk about the irrational bear market for housing in the 2000s. Shiller saw these bubbles coming and made a fortune selling timely book-length criticisms of the macro economy’s fantasy ride. Numerous financiers also saw the bubbles and made killings by shorting housing, equities, bonds, and other over-priced securities. Here again a lot of shenanigans are implied, but so is the basic fairness of the market. John Paulson, head of the Paulson & Co. hedge fund, circa his “big short” position against US subprime housing debt in 2006. So are markets rife with under and over-priced deals fit for the taking? The market is certainly systemically inefficient because it’s a big messy human drama, but does this at least provide wiggle room for brave, crafty, and patient investors to beat the average rate of return? Maybe that’s the gloss over the warning the behavioralist school of thought is really trying to impart; financial markets are intrinsically unstable and prone to bubbles and deflations that grow from a bi-polar collective consciousness. If that’s true, there are moments when real value can be seized at discounted prices, and over-priced assets can be shorted by the cognoscenti. The herd perishes before the ubermensch hunters who can smell the beastly fear and stay a step ahead. Is this what we should believe about the few elite investors who continually post massive profits while the pack stagnates? In wondering about “the market” as a totality this debate between the efficient markets school and the behavioralist school misses the trees for the forest. Yes, I turned that phrase backwards. The problem here is big picture thinking. Too many economists start from the wrong level of analysis. Economists are rightfully concerned with the forest —the economy as a whole unit— but they make the mistake of launching straight into theorizing about “the market” as a whole, and the big forces that drive it. They’re looking too much at aggregate sets of data. The question of whether markets are efficient or not, and how some investors beat the average returns, has too often proceeded from a ten thousand foot level where individuals and firms and governments and laws and historical events disappear into a noise of statistical data, where returns are averaged, and actors are lumped into vast populations and categories, or else they’re lumped into psychological categories, and all the action is reduced to something akin to ravenous locusts or panicking wildebeest. Specific trees disappear, and we’re left with the abstract jungle of either efficient markets allocating capital and rewards in seemingly random ways, no matter an individual’s efforts, or wild-thing markets swung around by animal spirits, devouring the slow herbivores who feed on the buy or sell ratings of analysts. If you look at the major studies that bolster the efficient market hypothesis and the behavioralist views you’ll notice that they’re short on micro case studies that focus in on particular investors, firms, and business stratagems. These sorts of accounts are ridiculed anyways as “journalism” or the niche sub-field of “economic history,” which is considered more of a member of the field of historical arts than the “science” of economics. This is largely because economics has pretended to be a rigorous science for over 100 years now. In emulating the rex of science, physics, economics has actually fled from reality and built a world around logical models set spinning into equilibrium with mathematical methods. There are political reasons for this, of course. It’s too much to get into here, but the short of it is that getting away from concrete reality that could be revealed through detailed case studies of economic activity helps mask some politically damaging realities for those who have managed to accumulate big shares of the world’s wealth. Most economists never got the memo from the other social sciences that detailed ethnographic, comparative, and historical study is just as rigorous, and can often produce much richer theory than abstractions based on big quantitative data sets. Or they saw the memo, but chose to ignore it. After all, economics serves two purposes. One is to attempt to understand how the economy sets prices, meets demand, grows, and allocates capital, whatever all that means. The other is to attempt to legitimate the way the economy actually functions by telling a value-neutral story about a fair and natural system, using fancy equations and hard to envision categories like gross domestic product and marginal income, when what’s actually being discussed is a not so happy tale of power and conflict. When I read the best of contemporary business journalism what jumps out are the details, not the big sets of data showing market trends, price movements, or average portfolio returns. It’s the people, firms, and the tactics they use to amass fortunes from securities markets that appear in high fidelity and get my mental gears spinning. All the advanced theories of markets and finance add little value to these tales, serving only to wash away the reality. To be clear, I think both the efficient markets hypothesis and behavioralist theories can offer some useful guidance in understanding part of the big picture. They’re not entirely without some truth to them. It is incredibly rare for someone to best the market by simply picking the best stocks, bonds, and making smart bets in derivatives markets. In this sense the EMH is good at describing the odds a normal person, acting without any special access, information, and with just a modest sum of capital, can beat the market. You can’t really. Additionally, of course the markets are irrationally driven by emotions, and prone to bubbles, recessions, and depressions. People lose their shirts all the time, especially the little investors and the weaker institutions like pension and mutual funds. What do these theories really help us understand about our lives though? What do they tell us about the truly pressing questions of our era? Not all that much. The infatuation that the economists have had with their own insular debates about markets reveals more about the function of economics in veiling power relations than anything else. Another big picture, derived from a decidedly ethical concern, is how the world is becoming polarized between a wealthy elite and an increasingly impoverished majority. Today’s elite, the rentiers and creditors who exert disproportionate influence on our political systems and control most of the world’s capital, and thus our collective future, many of these rainmakers obtained and maintain their positions of power precisely by “beating” the markets and surviving periods of irrational exuberance. Somehow, against both the notion that markets are efficient and impossible to beat, and markets are volatile and dangerous, today’s one-percenters used stratagems to squeeze capital from markets that are otherwise impossible to gain much from because of their efficiency, or their volatile irrationality. So how did the contemporary elite do this? That, I think, is the real question to be asking about markets. It doesn’t invalidate what’s obvious or useful about other theories, but it does allow us to bust free from the limits of “scientific” economics and finance theory, and concern ourselves with a more social and anthropological study of the economy as a system of power relations. I think it requires attention to specific cases of accumulation on detailed levels. Getting away from the forest views where actors are all just individual data points and the market is a vast plot of variables moving in impossibly complicated ways is a good place to start. Let’s start instead by looking at the so-called masters of the universe who have done quite well for themselves against the market’s efficiency, and against the noise of volatility and random catastrophe. Hedge funds and private equity firms seem like great places to start. Private equity fund Kohlberg Kravis and Roberts has been around since 1976 and throws weight at over $40 billion in assets. KKR has been an astoundingly successful firm when it comes to obtaining returns on investments that beat the average market participant. Or take Bain Capital, the most well known private equity fund in the world now thanks to that guy who ran for president in 2012. Bain pounced on the markets when it was founded, and grew at a phenomenal rate, posting profits that year after year showed acumen far above and beyond what other businesses were capable of, including most other PE firms. Among hedge funds there are plenty of examples of winners who defy the standard economic theories of how markets work. 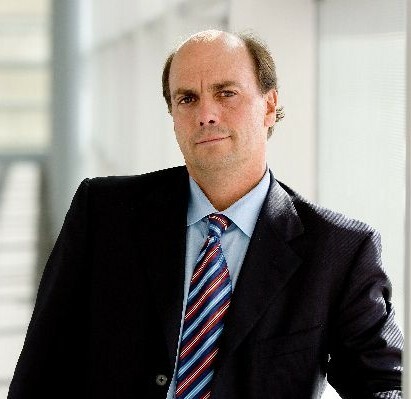 Bridgewater Associates, the world’s reigning zeus of the hedge fund pantheon, was founded in 1975 and has grown rapidly into an overseer of $122 billion in assets. A new hedge fund outfit, the Brevan Howard firm, with $36 billion under management, has repeatedly bested the market, posting huge gains even in macro-economic downturns. In 2008 and 2009 Breven Howard posted gains of 20 percent and 18 percent respectively. How do firms like these beat the market time after time? Sure, some blow up. Those that do, like Long Term Capital Management, get sliced up by their creditors, and the quants or dealmakers running the show go gently into the night, into semi-retirement in their Gold Coast mansions, but more often into business under another name. What’s amazing is that so many of the top hedge funds and private equity groups have such staying power. If we’re to believe in efficient markets or take on a cynical behavioralist viewpoint, all these firms should be out of business, or at least not growing at double digit rates into entities with wealth surpassing many sovereign nations. How do they survive the irrational explosions of turbulence that roil asset prices every three to five years? Indeed, how do they often post their biggest gains at precisely the moment the efficient markets are efficiently destroying everyone else’s wealth because the crowd psychology tipped from glee to gloom? Here’s a hint: it’s not due to their super-human intelligence, secret sauce market models, protestant work ethic, or sobriety. It boils down to power. The contemporary financial elites use power through politics, the law, and sometimes even the raw power of the huge pools of capital they control, to make markets move, or else to get around the other efficient and fair mechanisms that most other market participants must abide by. This will guide a couple future posts here. I’ll explain some of these strategies, but unlike the dismal scientists, I’ll be focusing in on specific cases to reveal how the top dogs accumulate wealth. These will be tales of non-efficient markets where power relations are masked behind prices, information, and access. 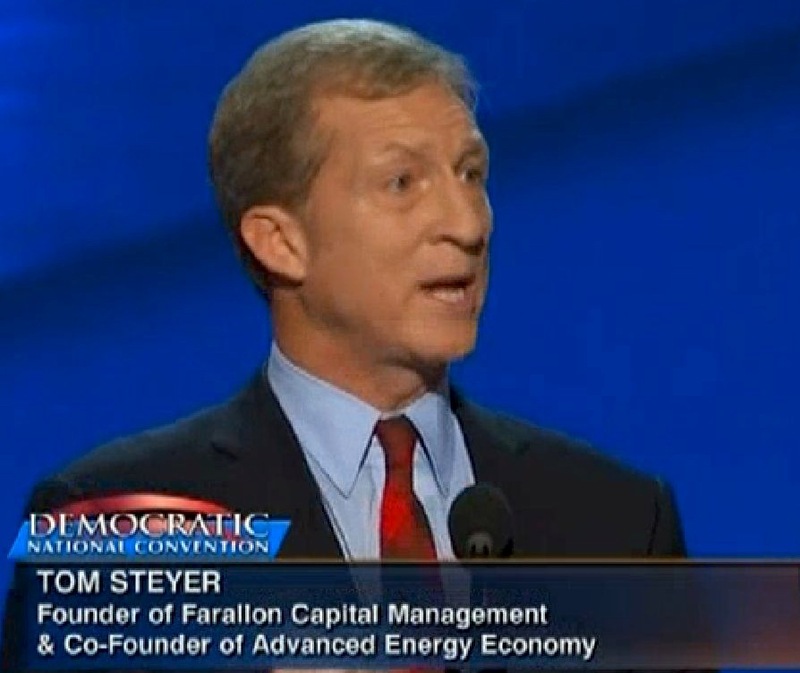 Steven Barnes, a Bain Capital executive who has donated the federal maximum to Romney’s campaign. Like many donors to the Romney campaign, Barnes has given much larger amounts to Super PACs affiliated with Romney. Barnes gave $125,000 to the Restore Our Future PAC, and also $30,800 to the Republican National Committee. Mitt Romney has an overwhelming advantage in raising money among his former colleagues in the realm of private equity. Employees of the top 10 private equity groups have given Romney’s campaign $548,050 during the current election cycle, compared to only $170,056 for president Obama. Among these elite private equity groups, Bain Capital is the largest source of cash for both candidates. The Blackstone Group has also showered money on both campaigns. However, many private equity groups where Romney has found eager support are bereft of employees who also support Obama. For example, two of the top ten PE groups, CVC Capital and First Reserve Corporation, have no employees who have donated to Obama. Among the executives and employees of top ten largest private equity groups Romney far exceeds Obama in raising cash for his official campaign. 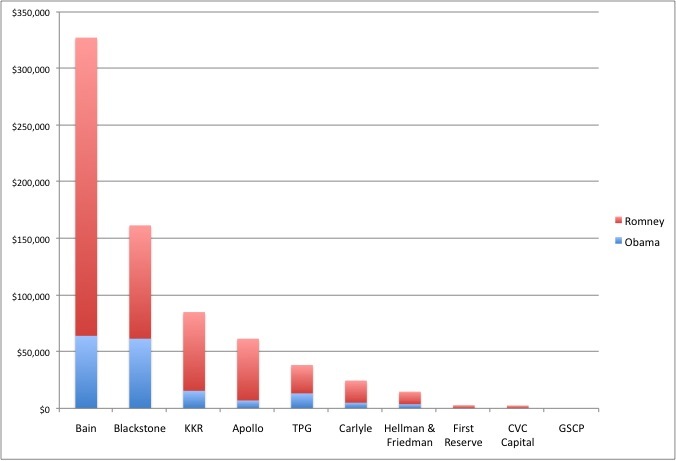 Private equity groups favor Romney by leaps and bounds. For every dollar Obama was given by employees of Bain, Romney was given four. 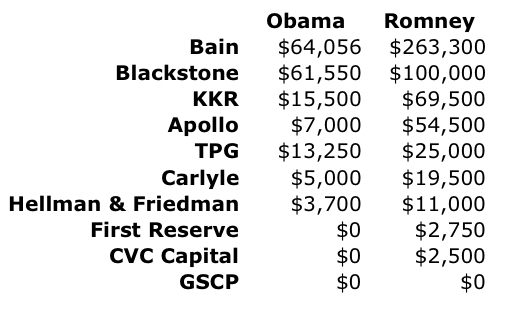 Romney bested Obama by $4.5 to $1 among employees of KKR, and a very large margin of $7.8 to $1 among Apollo Management’s employees. Keep in mind these dollars are donated directly to the Romney and Obama campaigns, and thus are limited to $2,500 per donor, and strict reporting requirements apply. Romney has benefitted much more from private equity donations to the Super PACs that are technically unaffiliated with his campaign. I covered this ground in some detail back in June with a story about California Super PAC funders, an elite group that included more than a few private equity executives – http://www.newsreview.com/sacramento/money-wins/content?oid=6480953. Certainly the Super PACs supporting Romney and preparing to attack Obama have received many millions more from PE executives since then. In the 2012 election cycle Romney has taken in hundreds of thousands more than Obama from executive and employees of private equity groups.